Russia, the largest country in the world, provides a wide range of opportunities for travelling. It was formerly a powerful tsarist empire and a Communist superpower, but is now a source of fascination for the travellers. There is a multitude of tourist attractions to visit in Russia- from famous cities to the Soviet-era relics, from deep lakes to the icy tundra. Russia is also home to incredible works of arts, grandiose cities, and overwhelming palaces, which have inspired poets and writers for centuries. It is very hard to choose where to go on a stealthy Russian adventure. To make your decision easier, we have listed top 10 places to visit in Russia. Moscow is the city of dramatic contrasts and superlatives. It is not just the capital of Russia, but also the cultural and political heart of the country. 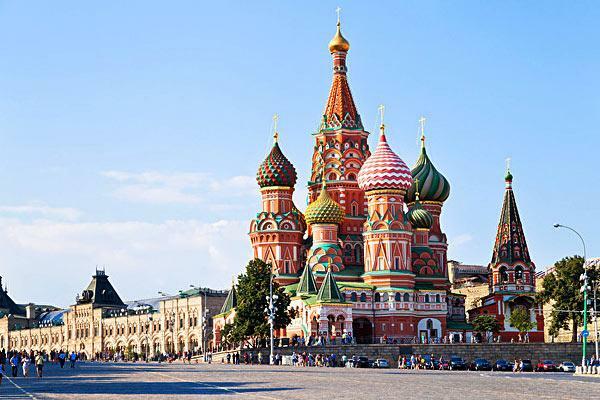 Moscow is home to the mighty Kremlin, the iconic St. Basil’s Cathedral and the legendary Red Square. You will find some of the most recognizable landmarks and fascinating places in the Red Square. Kremlin is a stunning place with its beautiful churches, red brick towers, and remarkable historic sights. Moscow has some of the world-best museums and art galleries, markets, malls and hundreds of restaurants serving a variety of cuisines. The massive Soviet buildings like the Stalin skyscrapers and the Lenin Russian State Library are the star attractions. The Russian Historical Museum and Saint Basil’s Cathedral are other popular tourist spots in Moscow. Moscow also has a rocking nightlife with its clubs, bars, and discos. 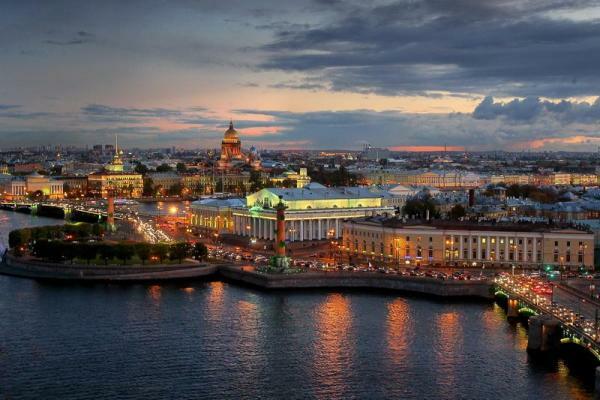 St. Petersburg is the most European and forward looking city of Russia. It is an amazing destination for culture lovers and history. This historic center has an eye-catching Neoclassical and Baroque architectural styles. The place is home to 220 museums, 2000 libraries and 80 theaters, which establish St. Petersburg as the cultural landscape. It also boasts of bohemian cafes, edgy art galleries, and underground clubs. There is also the fabulous Hermitage and the Russian Museum in St. Petersburg. The world famous Mariinsky Theatre, the Vasilyevsky Island and the Peter and Paul Fortress are also worth the visit. The best time to visit St. Petersburg is during the summer, when you can witness the famous White Nights- the time of glorious midnight sun. Novgorod is an ancient town of Russia. It is the best place if you want to escape the hustle and bustle of the large Russian cities. Being the oldest town in Russia, Novgorod is a place of historical significance. It is a compact center with friendly pedestrians, featuring fluffy trees, pleasant neighborhoods, and quiet streets. Novgorod was once an important trade and industrial hub and even hosted a major fair. The Cathedral of St. Sophia, the oldest building in Russia, is a popular place of interest in Novgorod. If you want to explore some breathtaking frescoes, then visit Church of Our Saviour-at-Ilino, You can also enjoy a scenic boat trip down the Volkhov River. 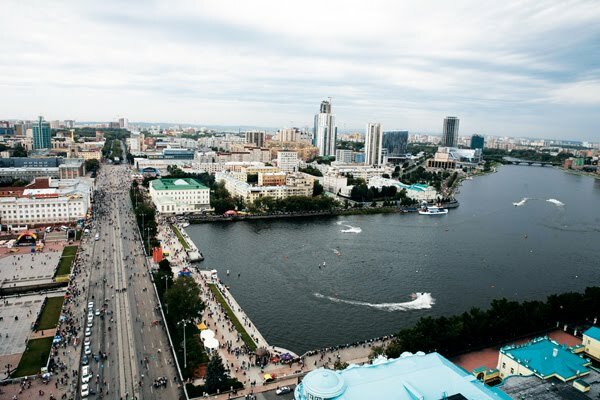 Yekaterinburg, also known as the City of the Romanovs, is the ‘thinking’ city of Russia. It is a perfect place for seeing the traditional orthodox churches. It is also the gateway to the Ural Mountains. If you are visiting Yekaterinburg during the winters, then you must indulge in ice fishing and dog sledding and during the summer, hiking through the lush taiga forest is a must. The Yekaterinburg Circus is a beautiful building with lacy dome that arches over the seating arrangement. There is also a giant statute of a computer keyboard in this city. 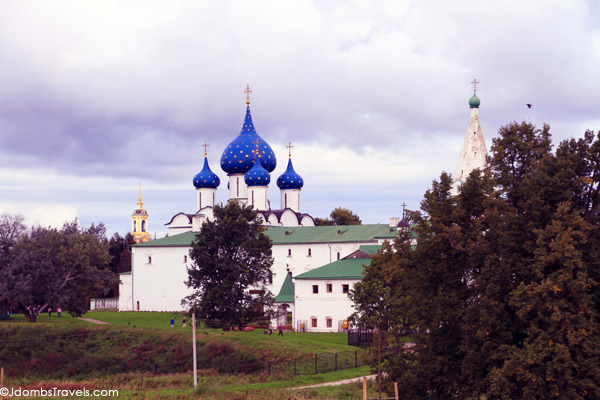 Suzdal is a picturesque town located in the Vladimir region. It is one of the oldest settlements in Russia. It is a town officially protected against the modern development. The entire town is just like an open-air museum. This serene place is loaded with old building dating back to 1024. The most striking attraction of Suzdal is the Golden Ring. 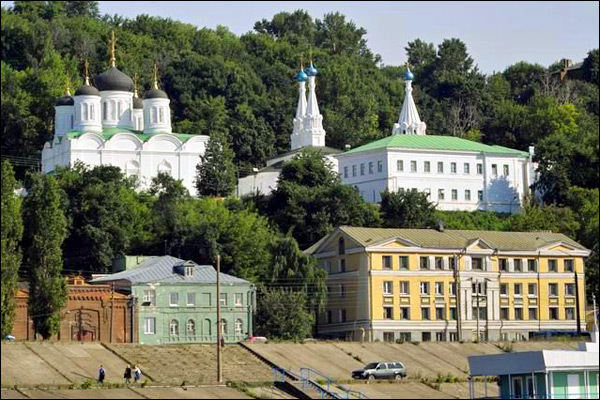 It is the major religious center of Russia with an astounding number of monasteries and churches. The livestock grazes freely along the lanes, giving the feel of a small pastoral village. Do not forget to sip local medovulja honey cider to get a true taste of Suzdal. Vladimir was the capital of Russia for two centuries before giving way to Moscow. It is a place of religious and historic significance. The three most beautiful landmarks of this city are the St Dmitry Cathedral, the Golden Gates, and the Assumption Cathedral. The cathedrals are recognized as the most beautiful building in Russia. The most prominent symbol of this city is the Golden Gates formed a part of the city’s defense. The Cathedral of St Dmitry, with its white stone-carved masterpiece, is equally impressive. Karelia is a remarkable land located on the border of Western and Eastern Russia. It was carved out by a glacier thousands of years ago. 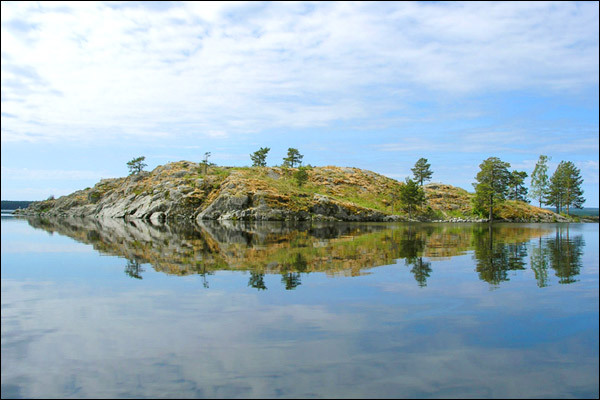 Karelia has the two largest lakes in Europe- Lake Ladoga and Lake Onega. It is renowned for its boundless forests, blue lakes and white nights. The culture of Karelia is influenced by the Scandinavian countries. The lush green landscape of Karelia will provide you with a host of other of outdoor leisure pursuits like sailing, hiking, bike riding and swimming. The other tourist attractions of Karelia include Mineralnye Vody, National Park Paanayarvi, Tohmaioki Waterfalls and Mountain Vottovaara. Kazan, officially called the ‘third capital of Russia,’ is a 1000-year-old Russian city situated on the banks of the Volga River. 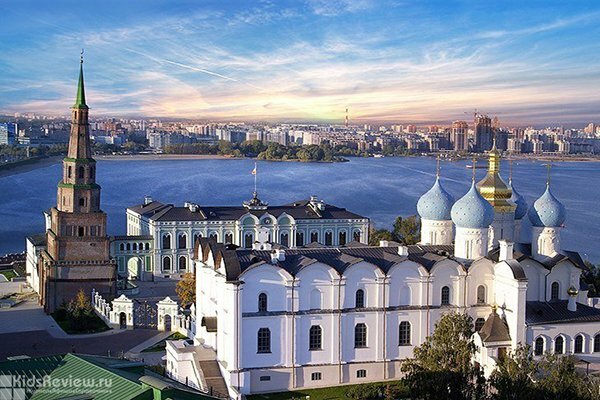 Kazan is a melting pot of cultures. It is a place where Islam and Christianity co-exist. It is the core of the old city with its Old Tatar Settlement and iconic buildings. 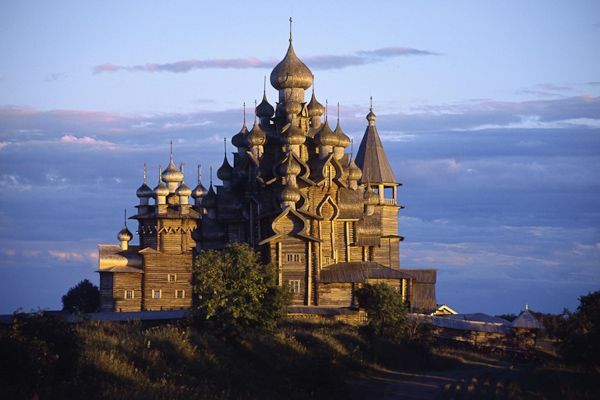 The Kazan Kremlin is a UNESCO listed site with museums, watchtowers, and gorgeous churches. The Temple of All Religions will be a feast for your eyes and spirit. Besides, the lively pedestrian Bauman Street has a wide range of cafes, boutiques, restaurants and bars. Khizhi Island may not be as famous as St Petersburg and Moscow, but is a noteworthy destination in Russia. 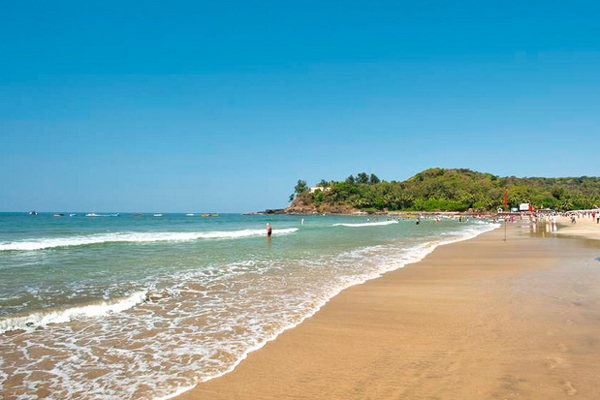 The pristine natural paradise is famed for being an open-air museum. The museum has a 120-foot high Church of the Transfiguration of Our Savior and the Church of the Resurrection of Lazarus. Besides, the place also has the finest examples of wooden houses, chapels, windmills, and barns. 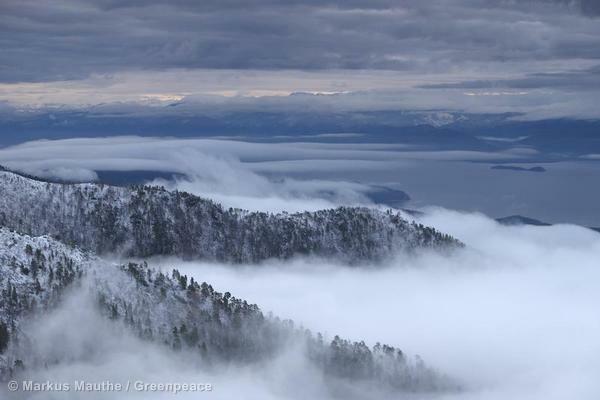 Wide aerial view above fog on Lake Baikal surrounded by wooded mountains. Zabajkalski National Park. Luftaufnahme ueber Nebel am Baikalsee, umgeben von bewaldeten Bergen. Zabajkalski National Park. Also known as the Pearl of Siberia, Lake Baikal is one of the clearest, oldest and deepest lakes in the world. This 25 million-year-old lake is located in Siberia, surrounded by mountain ranges. It holds around 20% of the world’s fresh water. 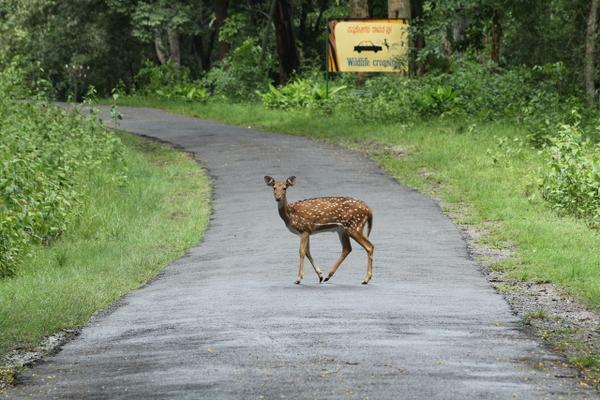 It is also home to a wide variety of flora and fauna. The surrounding resorts make Lake Baikal one of the most popular vacation destinations. Lake Baikal is just one-hour drive from Irkutsk. 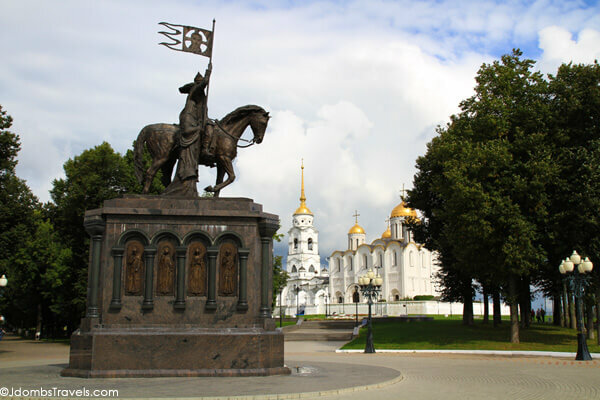 These attractions will surely inspire the great Russian itinerary for a very memorable trip. Do not forget to share your feedback and suggestion in the comment section.